Telfer's top resource for finance opportunities. We aim to expose students to the rapidly expanding finance industry through unique opportunities such as networking events, case competitions, and a trip to Toronto's financial district. With a member base of over 300 students and counting, we bridge top business talents to leading professionals in the field. Members get a 10% discount at the Freshii restaurant on campus by showing their membership card and student ID. Our Speaker Series welcomes leading professionals and educators from several institutions to share their knowledge and experiences with eager students. The event begins with a Q&A panel of 4 speakers, and then students break into groups to connect with each speaker through speed networking. Our Speaker Series will occur on October 1st, 2018. Our 2018 Toronto Trip will take place on November 22th-24th. It gives our members a chance to visit several major financial firms in the area. This is an opportunity to get a first-hand look at potential positions in the financial industry, and helps them make career choices. Our annual TFS Case Competition is an inter-universities case competition organized and hosted by the Finance Society. The competition invites top business students from renowned universities across Canada such as McGill and Waterloo. The competition also draws exposure from a wide variety of businesses and has welcomed many elite industry executives. Our annual general meeting is perfect way to meet our executive team and get more information about all the events we have programmed for our students. Our 2018 Annual General Meeting will be on September 19th. The Telfer Internal Case Competition (TICC) is a one-day competition, bringing together students and giving them the opportunity to compete in a rigorous case in their category of choice. Its mission is clear: to provide Telfer undergraduate business students with an intellectually enriching opportunity to apply their in-class knowledge to complex business cases, all while showcasing their presentation skills and networking with industry leaders. The 2018 TICC took place February 3rd. Here at the The Telfer Finance Society, we assist our students and help them perform at the highest financial level possible. 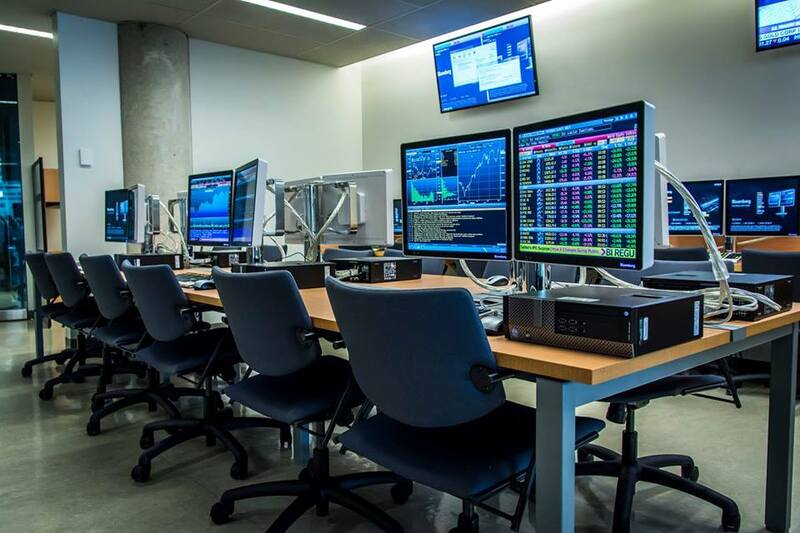 The financial research and learning lab is a high quality learning environment and a data resource centre used to support research and experiential learning at the University of Ottawa. The Lab is designed to emulate a laboratory professional trading features and real-time industry-standard products in public and private environments where finance is practiced. Saying you want to be an investment banker is one thing… getting a job offer is another. To come out a winner, you need to get an edge on your competition. That’s why BreakingBayStreet was created, a hub for aspiring capital markets professionals offering every resource you could possibly need to prepare for interviews. Thank you to the photographer Malik Assad for the pictures!